After 91 years, Chinese Christians will get a new translation of the Bible. 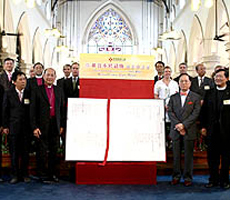 The new, Revised Chinese Union Version (RCUV) was launched by the United Bible Societies (UBS), but the Hong Kong Bible Society (HKBS) assumed full responsibility for the project in 2000. It replaces the current edition used by an estimated 70 million Chinese Christians who worship in over 300,000 churches worldwide. Chinese speakers can purchase a hardcover copy of the RCUV as early as the end of the month at Hong Kong’s Bible Shop. The Bible Society of Singapore will be publishing the Bible translation in simplified script. 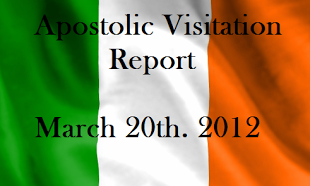 Copies will be available in April 2011. The RCUV was launched at the St John’s Anglican Cathedral in the presence of Catholic, Anglican, Lutheran and Methodist religious leaders. Archbishop Paul Kwong of the Hong Kong Sheng Kung Hui (Anglican Church) presided over the dedication ceremony. Hong Kong Chief Executive Donald Tsang Yam-kuen, a Catholic, along with Church officials from the mainland and China’s State Administration for Religious Affairs were present. Given Beijing’s tight control over religion in the mainland, the editors of the RCUV had to get mainland Church leaders to endorse the revision project, which they did in 2003. To allow them to print the RCUV New Testament, the Bible Society also signed a contract with the state-approved China Christian Council and Three Self Patriotic Movement Committee, Chinese Christian “patriotic” organisations set up under Mao to control religious groups and practice. The HKBS stressed that the revision work included scholars from both Taiwan and the mainland. In its view, the project can bring together Chinese Protestants from different backgrounds. Changes were minimal, a mere 10 per cent of the text, mostly to update words and expressions. At the same time, some changes reflect government restrictions on Christians. Instead of saying that Jesus took part in a parade, the RCUV says, “He travelled around”. This is because the word ‘parade’ has politically sensitive connotations.